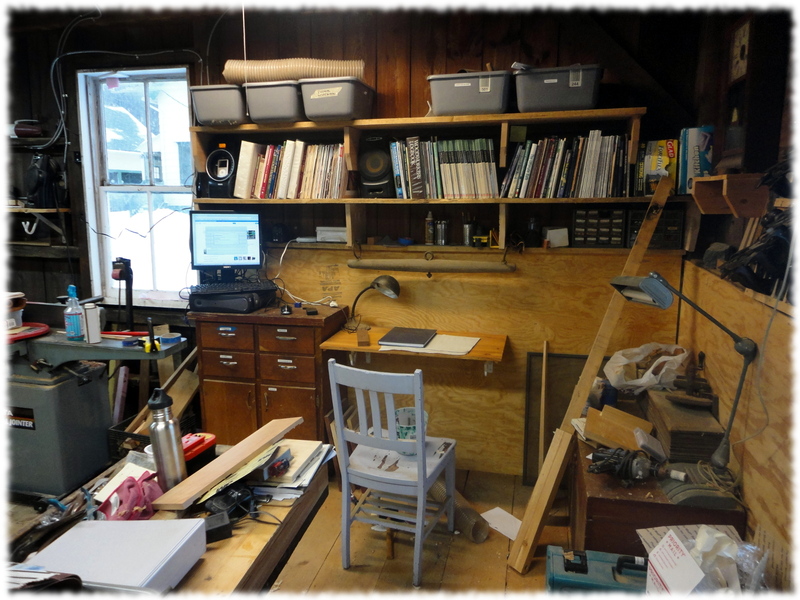 I decided to reorganize the “office” corner of the workshop. It is too cold to get too much woodworking done, but it is nice to reorganize things. One of the biggest additions is a computer. Ben and I had picked up a handful of $20 small desktop computes for the boys Minecraft party in March. It is pretty slow, but it works. I set it up and added it to the wireless network. Now I can stream Pandora, write in my blog, and even play Minecraft with the boys. Though the computer can really only handle one thing at a time. The office space in progress.